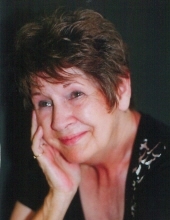 Connie J. Martin, 75, of Lincoln. Memorial Service 11:00 am, Thursday, 01/10/2019, at Colonial Chapel Funeral Home, 5200 R St. with a luncheon to follow. Connie is survived by her children, Pete (Kim) Iacino, Debbie (Nate) Schwab, Jason McMorris, and Kelly McMorris all of Lincoln; eleven grandchildren, Wesley (Kelly) Ashenbramer, Derek (Emma) Ashenbramer, Angelia (A.J.) Lewis, Rick (Allison) Lewis, Travis Iacino, Sydnie (Cory) Sheridan, Robbie Robertus, Sean McMorris, Brandon Robertus, Hallie Schwab, and Caleb Schwab; three great grandchildren, Kenton, Peyton, and Jalisa; sister-in-law, Karen Martin; brother-in-law, Jerry Andreoli; and nephew, Craig (Rene) McCarthy. To send flowers or a remembrance gift to the family of Connie Jean Martin, please visit our Tribute Store. "Email Address" would like to share the life celebration of Connie Jean Martin. Click on the "link" to go to share a favorite memory or leave a condolence message for the family.